Thank you for coming, and please enjoy your visit. Don't forget to bookmark this page . You can scroll down this page, or go directly to a particular state, by clicking on that state. If you click on a state and you come back to the top of the page, this means that the state that you want has not yet been loaded into your computer from the server. Wait a few seconds and try again. There is at least one castle in each state listed below. LINKS to other Castle Places to visit. Click on castle name for more information. UNKNOWN CASTLE - Healdsburg ?? COOK HALL CASTLE ?? - Illinois State Univ. VIANDEN CASTLE - BETTENDORF CASTLE - Fox River Grove. BETA CASTLE - Silver Spring ? ? EVISWALD CASTLE ?? - Rutherford ?? CASTLE VON GOTTSCHLICH - Elon ? Summerfield ? COLLINGS CASTLE ?? Turner Falls? Davis? HYEHOLDE CASTLE - Moon Twp. UNKNOWN CASTLE - Keene? Joshua? DISCLAIMER - The material on this web site was gathered from various sources. It is thought to be accurate, but it is in no way guaranteed to be so. As far as I know there is nothing on this page that should not be here. 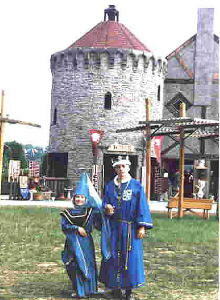 If anyone connected with any of the "castles" that are listed on this home page object to their castle being here, please contact me via E-Mail jimdupont(at)dupontcastle(dot)com OR jimdupont(at)intergate(dot)com If anyone sees a photo that belongs to them, please remember that these were sent in to me, and I assume that they belong to the people who sent them in. If one of these photos is yours, let me know and I'll either give you credit on the webpage, or remove it, whichever you choose.